Our lives are entwined with plants. "Think about it," says University of Tennessee public horticulture professor Andy Pulte. "If not for plants, you wouldn't have the clothes that you wear or the foods that you eat — not even the animals that show up on your plate because [many of them] eat grass." To bring awareness to the integral roles of plants, or "help reduce plant blindness," Pulte and fellow UT horticulture professor Natalie Bumgarner have spent more than a year compiling a list of the 10 most influential plants in Tennessee history. In 2017, the duo put out a call for nominations. They contacted grade schools, universities and newspapers. Ultimately, they received about 600 responses. "We got a little of everything — from elementary kids who said things like, 'I think it's carrots because they make your eyes good,' to academics who included citations," Pulte says. Then, Pulte and Bumgarner gathered a group of experts, which included local authors, foragers and horticulture specialists. Together, the team weighed each nomination based on its historical, cultural, culinary and landscape significance. Eventually, they whittled the list down to 10. Now, says Pulte, the goal is to take this list and develop a curriculum that can be used by Tennessee schools. "The plants themselves are important, but really, we want to use this list as the lens we look through to teach kids about a variety of subjects," Pulte says. Here is a look at that list, along with explanations behind each plant's local significance. The widespread and majestic tree so valued for timber and wildlife has been gone from our forests for decades. American chestnut's native range in the eastern United States was from Maine to Mississippi, which constituted more than 200 million acres. Within this area, it is estimated that 4 billion trees could have been present. It has been nearly 80 years since the "King of the Forest" was deposed in Tennessee. 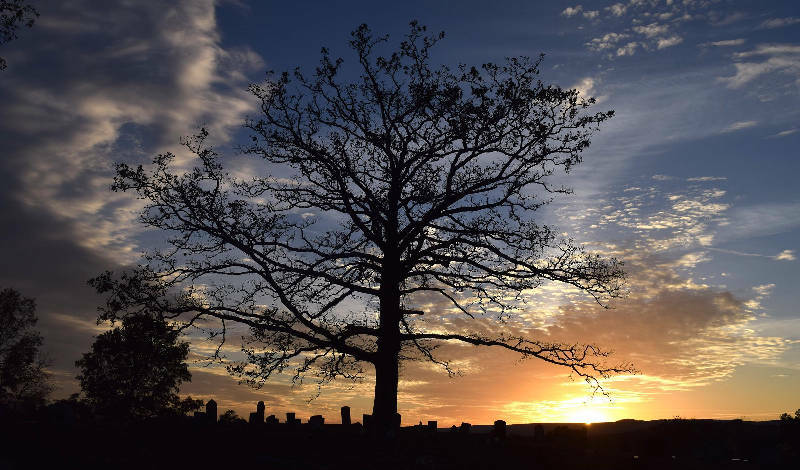 A lethal fungal blight that attacked the vital nutrient transport systems of the mighty American chestnut tree came to the U.S. on imported trees in 1904. By the 1940s, the pathogen had marched through the native range of the American chestnut where it killed trees from the stump up. Since this invasive pathogen didn't kill the roots, young sprouts from remaining root systems sometimes appear briefly as a reminder before themselves being killed. Beans aren't just a historical or hobby crop in Tennessee. Snap bush beans are grown in quantity on the Cumberland Plateau, making the state No. 11 and No. 13 in terms of value for fresh and processed snap beans, respectively, in 2017. Even with this snap bean production, any current agricultural producer will tell you soybeans are the most economically impactful bean in Tennessee today. Around the 1950s, soybeans went from the new bean in town to a cornerstone of Tennessee's agricultural economy with about a thousand-fold increase in production between 1949 and 1992. Soybeans now provide more than 20 percent of Tennessee's farm gate receipts, and are the most valuable commodity in our agriculture system, topping even corn, cotton and cattle. Perspectives on the role corn has played in shaping Tennessee can be surprisingly varied across the state. West Tennessee residents might view it mainly as an agronomic centerpiece. And they would be correct because it holds the position of No. 4 most valued crop sold from Tennessee farms. With a current footprint between 750,000 acres and 1 million acres annually, corn is a well-known sight from interstates and one-lane roads alike across crop-producing areas. 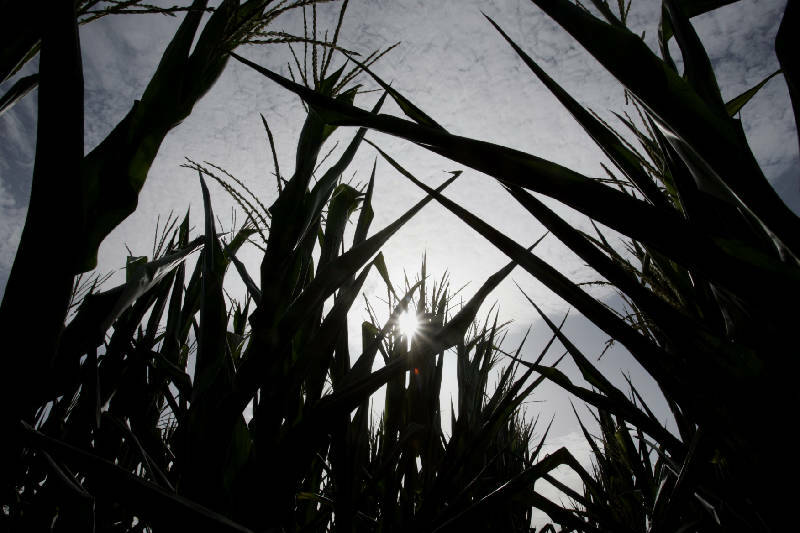 In Middle Tennessee, it is likely corn will be tied historically to William Haskell Neal, who bred two-ear Paymaster corn around 1900, changed the face of Tennessee agriculture and agronomy for years to come. In East Tennessee, corn may conjure images of grits and cornpone that were dietary staples, along with stories of stills and 'shine. Currently, over 300,000 acres of our state are devoted to cotton production yearly. Cotton is a food and fiber crop. Its fiber is used in virtually every type of clothing and its seed is crushed for oil and meal, which is used to feed livestock and for food products. 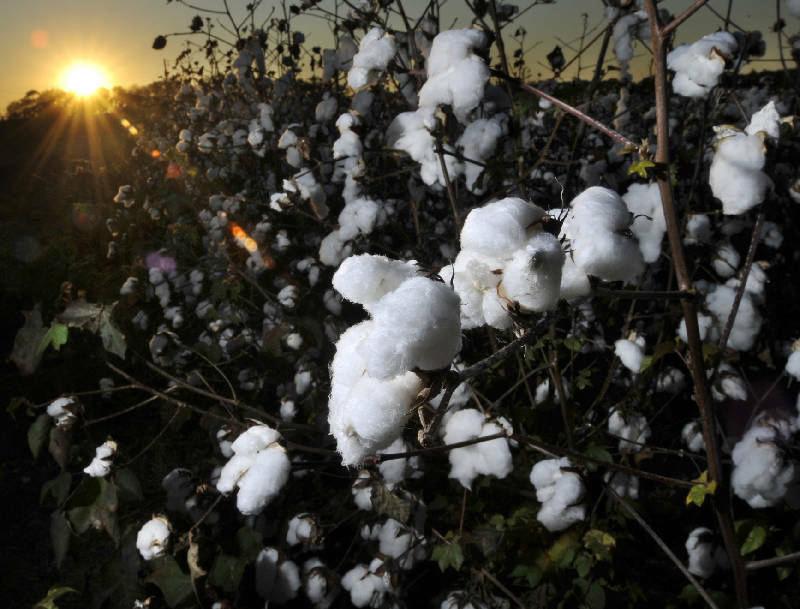 The history of cotton in Tennessee and other Southern states is complex because it is intertwined with a cultural, racial and economic structure that defined and impacted agriculture and society across many generations. Pre-Civil war, cotton was a principal cash crop often grown year after year on the same deep fertile land. Growing and raising cotton before widespread mechanization required a lot of hand labor, and the crop was most often worked by slave labor on large plantations. This gave way to a sharecropping system to provide labor after emancipation, which often left farm workers with little ability to better their lives outside of relocation. In 1931, the famous Memphis Cotton Carnival was founded to help promote the use of cotton and bolster the region during the Great Depression. Native across the Eastern Seaboard, dogwood is a plant beloved and known by even the newest of naturalists and gardeners. Additionally, dogwood benefits our Tennessee wildlife. Squirrels, cedar waxwings, cardinal, mockingbird, robin and turkey all feed on its bright red fruit in the winter. Historically, the dogwood's reputation for beauty spans the globe. In 1912, the mayor of Tokyo, Japan, sent 3,000 cherry trees as a gift to Washington, DC. 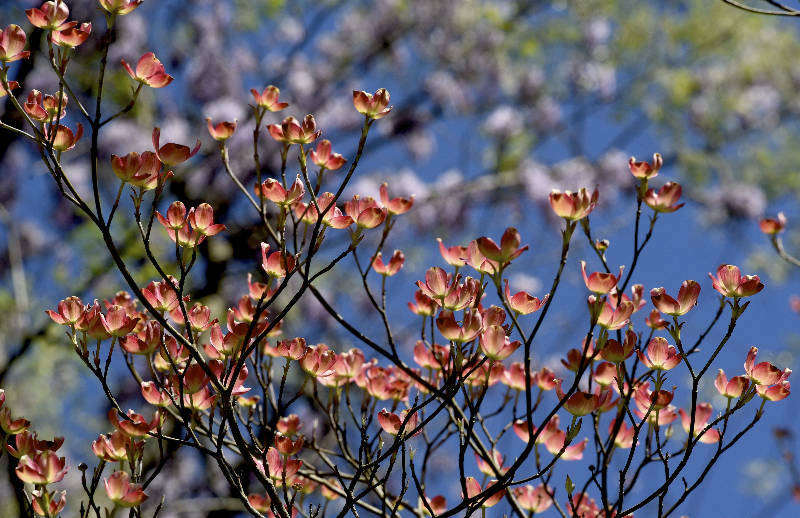 Three years later, the U.S. reciprocated with a gift of flowering dogwood trees. In early American history, dogwoods also were valued for their wood, which was of economic importance. A hard, close-grained, tough wood, dogwood was once employed for making shuttles in the textile industry (weaving). Textile manufactures found that the longer a dogwood shuttle was in use, the smoother its wood became. Dogwood logs were sent as far as England to support production in textile mills. This native herbaceous perennial plant has been harvested and used or sold for hundreds of years. The North American species has long held a place in Native American medicine. When European settlers began arriving in the region, it didn't take long to connect the American Panax with related species highly valued in Asian medicine. Following this discovery early in the 1700s, ginseng became an export crop whose harvest was practiced or noted by historical figures from Daniel Boone to George Washington. Wild harvest of American ginseng, known as "ginsenging," still exists in the Appalachians much as it has for generations. In the forest itself, the growth and productivity of ginseng offers confirmation of a healthy ecosystem. However, these slow-growing populations are constantly under pressure from harvesting for sale, as production of wild simulated ginseng has not been widely successful. Wild harvest is legal on private land, but illegal poaching is an ever-present issue on public lands, such as the Great Smoky Mountains National Park, where family ginseng patches may well pre-date the existence of the park itself. 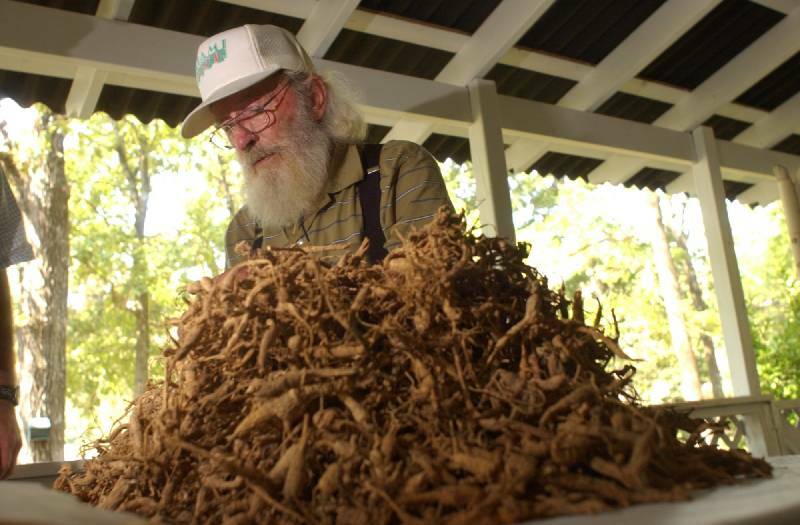 It is this intriguing mix of botany, ecology, history, culture and medicine that places American ginseng on the list of the 10 plants that shaped Tennessee. Only scraps and shadows remain of numerous diverse prairie grass plant communities in Tennessee. Many of us might imagine that the southeastern U.S. was unbroken forest from the Eastern Seaboard all the way to the prairies of the Great Plains. This is simply not the case. Tennessee was once a complicated mosaic of different types of plant communities, which included forest and some of the most diverse prairie systems on the planet. While these prairie grass systems are now much less extensive than they once were, grasses managed for grazing are still a key component of Tennessee economy and culture. Across much of East and Middle Tennessee, pasture lands support a cattle and calf agriculture system that produces the second most valuable Tennessee product in farm gate sales. It isn't just farmers who carefully manage grasslands, though. The grass systems that surround our houses and urban environments are what we now think of when we hear "grass, lawn or yard." The idea of the "lawn" did not get a substantial start until after World War II with the birth of the suburbs. However, it has become an integral part of our lives. 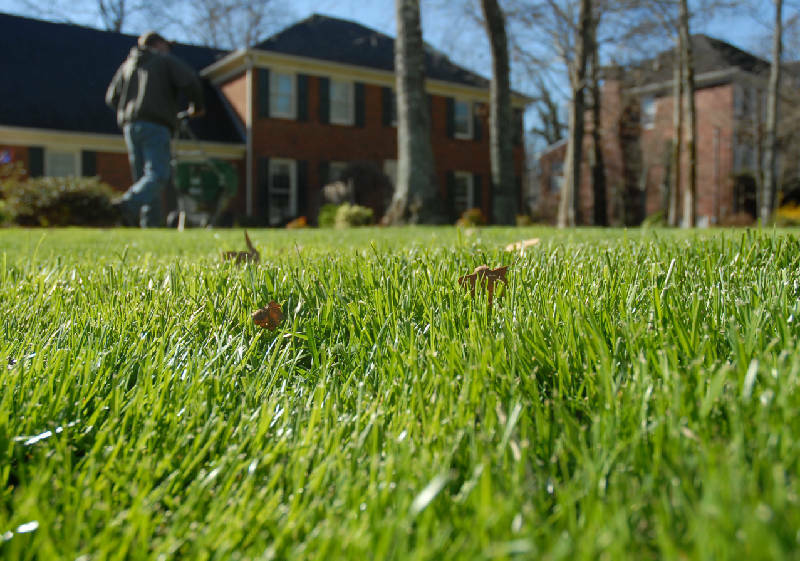 The estimated acreage of turfgrass in Tennessee is somewhere upward of 1 million acres, which is not far off of how many acres of corn and soybeans are planted respectively each year. While our lawns provide a place to enjoy recreation with our families, these spots of greenery also provide ecosystem services like filtering water and converting carbon dioxide into oxygen. Kudzu is not the most invasive plant in Tennessee, nor is it the most economically damaging. However, it is a plant that most Tennesseans can recognize, and few who call the state home are without an opinion of the vine. It plays a very important role in bringing awareness to the protection of our natural environment. Any young person can look at the sculptures created by kudzu on the side of the road and realize that something is not quite right. Kudzu can be used as a lens we all look though to help understand how species interact with each other and the interconnectedness of species on this planet. 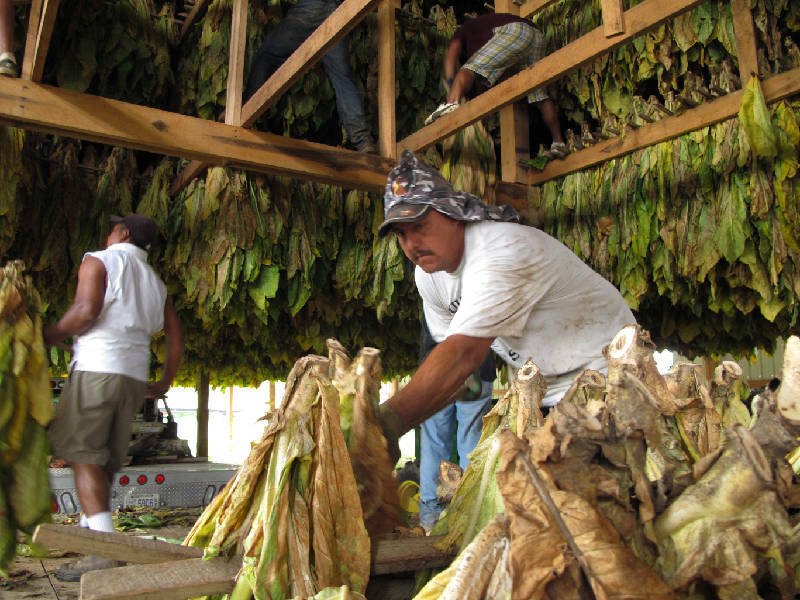 The story of tobacco in shaping Tennessee is not an easy one to tell because it comes with both human benefit and loss. Tobacco was one of the earliest crops planted by settlers in Tennessee and has long supported farmers and agricultural communities in the state. The epicenter of the burley tobacco production revolution was in Greeneville, in East Tennessee. In fact, many of the most commonly grown cultivars of burley were bred at UT Institute of Agriculture research facilities in the area. As recently as the late 1990s, tobacco was the most highly valued crop in Tennessee, often outpacing soybeans and corn in cash receipts. Some white oaks in our country were alive when Christopher Columbus left Spain on his first voyage. As long as people have lived in Tennessee, they have been relying on white oaks for survival and income. Wood from the tree is used to build houses and grace hearths as fuel on cold winter nights. The staves, or sections of wood that make up a whiskey barrel, are best made from white oak, and impart a unique taste to whiskey that is distinctively American. Between 1880 and 1920, Tennessee had a great extraction of timber across the state, providing a hungry nation with the raw materials it needed. This era brought jobs and people to our state. Memphis was once known as the "hardwood capital of the world" and 30-40 sawmills were scattered across the Mid-South. It was big business and white oak was one of the main players. Even today, Tennessee often ranks near the top of hardwood production as forestry continues to be an important but often little recognized economic contributor to Tennessee.